The High Court in Lusaka has approved the seizure of several expensive properties former President Frederick Chiluba illegally acquired using public money. 1) Plot No. 4828, Alberg Court, located along Addis Ababa Drive, Longacres, Lusaka which also comprises 21 residential flats. 3) Plot No. F/488a/26/D, Chibote House, located along Leopards Hill Road, in Kabulonga, Lusaka. Lusaka High Court judge Gertrude Chawatama has dismissed the case because Chiluba’ children and Tedworth do not have locus standi – which means that they do not have the right or capacity to bring an action or to appear in a court over the matter. 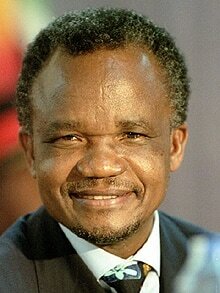 Tedworth Properties Inc and Frederick Chiluba’s children were claiming ownership of properties. The Anti-Corruption Commission seized the properties in 2003. This is is what will happen to the properties Edgar Lungu is currently stealing but the difference is that Lungu himself will be at Mukobeko maximum security prison.